A former assistant undersecretary at the Works, Municipalities Affairs and Urban Planning Ministry had his three-year imprisonment upheld yesterday for wasting more than BD4 millions of public funds. 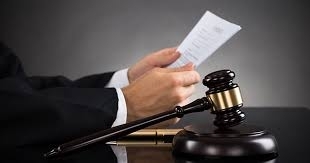 The Cassation Court rejected the defendant’s appeal as he was found guilty, along with another defendant, of causing financial losses exceeding BD4 million during the establishment of King Hamad University Hospital. This came after the ministry formed an investigative committee into the claims of mistakes made during the period of electrical works at the hospital. The results of the committee’s investigation found the former assistant undersecretary and an engineer guilty. The investigations also showed that the total financial losses caused by the defendants to the project was BD41,64,000, an amount that was paid from the budget allocated by the ministry to implement the project.